The Python graph library, plotly.py has reached version 3.0.0, which the team describes as its largest release so far. 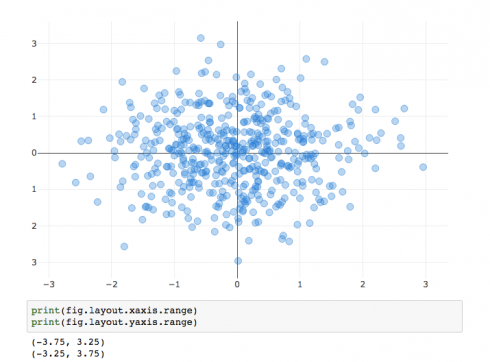 Plotly.py 3.0.0 adds a new Jupyter widget class that is made specifically for Jupyter Notebook and JupyterLab environments. This release also adds a set of imperative methods that can be used to manipulate and explore figures in Jupyter’s interactive computing environments. Other new features include tab-complete support, data validation and helpful error messages, various performance improvements, a context manager for animations, JupyterLab support, and static image export. Plotly.py 3.0.0 is backwards compatible with previous releases so it does not change the way that graphs are rendered. Keyoti has announced a new tool called Conveyor that assists developers who are trying to setup direct access to Visual Studio web applications. It enables access to web apps over a local network, which allows developers to test their projects from a variety of different devices. According to the company, Conveyor can tunnel through your firewall to provide remote access over the Internet. Pusher has released results of a survey that reveals exponential growth in Kotlin adoption. OVer 60 percent of the respondents of the survey reported that they actively use Kotlin in their work and personal projects. According to the survey, Kotlin adoption increased exponentially after Google I/O 2017, which is when Google announced it was adding Kotlin as an official Android development language. Android development was popular across the board, used about equally by both professional developers and students. Another key finding of the report was that most Kotlin developers come from a background of working with Java or currently also work with Java. “We are excited about Kotlin’s growth and believe that it will become a benchmark for what a programming language should be able to do – switch between object-oriented (OO), functional, scripting, and declarative paradigms, as well as between Android, web, and native platforms,” said Zan Markan, Developer Evangelist at Pusher.